It’s an immense delight to share that Rudrakshi Meena of the Emerald Heights International School astounded the jury by her angelic creation, ‘Healthy Food for Healthy Mood’ in the Eat Right Creativity Challenge Poster Competition organised by the Food Safety and Standards Authority of India (FSSAI), Ministry of Health and Family Welfare, Government of India for leading school across the country. The poster depicted the essence of healthy eating habits for a healthy productive life. 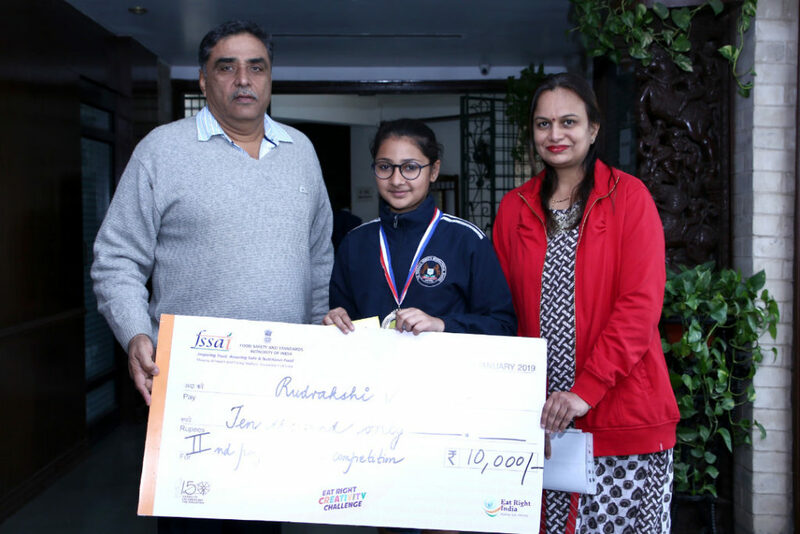 Rudrakshi was awarded with the medal and a cash prize worth Rs. 10,000 by Shri Ashwini Kumar Choubey, Minister of State for Health and Family Welfare at New Delhi on January 29, 2019.